Saint Francis Medical Center welcomes Steve Firmand, DM, as director of Training and Development. In this role, Firmand will be responsible for the overall management, design, development and delivery of enterprise learning for Saint Francis’ more than 2,400 employees. Firmand has worked in multiple industries, ranging from manufacturing and technology to academia and pharmaceuticals, implementing training and development programs for employees, top management and executives in the United States and abroad. He has also worked with other clients as a performance consultant. Firmand earned his undergraduate and graduate degrees from Illinois State University in Normal, Ill., and his doctorate in organizational leadership from the University of Phoenix in Phoenix, Ariz. He is a member and has served as president of the American Society of Training and Development, Heart of Illinois chapter. 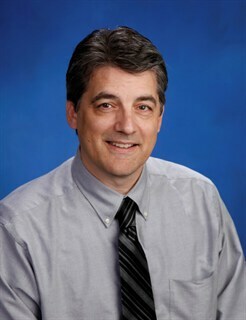 At Saint Francis, Firmand has been tasked with developing new strategies and projects for his department to implement.